Atkinson, Andelson, Loya, Ruud & Romo is thrilled to announce three of its attorneys have been named to the 2018 Super Lawyers Southern California Rising Stars list. This highly selective recognition spotlights exceptional attorneys aged 40 and younger, or those in practice for 10 years or less. Attorneys selected to this list each undergo a multiphase selection process involving peer nomination and evaluation, as well as independent research. With only 2.5% of attorneys appearing as Rising Stars, these honorees are truly the “best of the best”. AALRR attorneys appear frequently in Super Lawyers annual rankings, and this year’s Southern California Rising Stars selection was no different. Shawn Ogle, Brian Wheeler, and Chelsea Trotter appeared on the list this year. 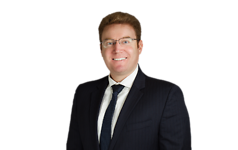 This is the third year Shawn Ogle, an associate with the firm, has appeared on the Southern California Rising Stars list. 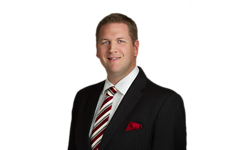 A seasoned litigator with the firm’s Commercial and Complex Litigation Practice group, Shawn has successfully handled a wide range of matters, from equity disputes between co-owners of businesses to elder abuse claims. Brian Wheeler, a partner at AALRR, focuses his practice on high-stakes complex commercial litigation, including in particular intellectual property litigation. His expertise in trademark and trade dress issues has recently been featured prominently in the LA Daily Journal, a prestigious law journal with a wide circulation. This is the second year he has appeared on the Rising Stars list. A senior associate at the firm, Chelsea Trotter specializes in complex commercial and employment litigation, handling all stages of the litigation process through trial. She is an experienced business litigator who has successfully defended AALRR clients in arbitrations, administrative hearings, and in trial. This is the second year Ms. Trotter has appeared on the Rising Star list. With over 35 years of unwavering commitment to client service, AALRR is one of California’s leading law firms. Our diverse team brings a seasoned perspective to California’s complex legal landscape for public and private entities, with particular strength in the areas of education, labor and employment, construction, complex litigation, corporate, taxation, and white collar law. Our public sector clients include more than 400 K-12 school districts, community college districts and universities, as well as cities, counties and special districts. We also represent diverse business entities, from small, family-run businesses to publicly traded corporations. At 170 lawyers and growing, AALRR has nine offices in Cerritos, Fresno, Irvine, Marin, Pasadena, Pleasanton, Riverside, Sacramento and San Diego to serve our clients throughout California. For more information about AALRR, visit our website at www.aalrr.com and sign up for our blogs, EdLawConnect, CA Public Pensions Law, Business Law Journal, Labor & Employment Law, and Labor Relations Law.